Platinum Round Brilliant Cut and Baguette Cut Diamond Eternity Ring — Form Bespoke Jewellers Ltd.
A stunning eternity ring with round brilliant cut and baguette cut diamonds. 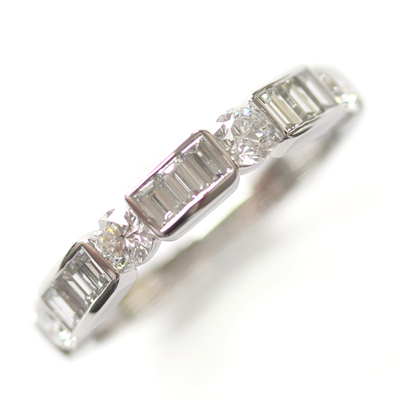 This bespoke design uses different diamond cuts and settings to create a beautiful eternity ring with a unique profile running across the top half of the band. A round brilliant cut diamond is tension set. 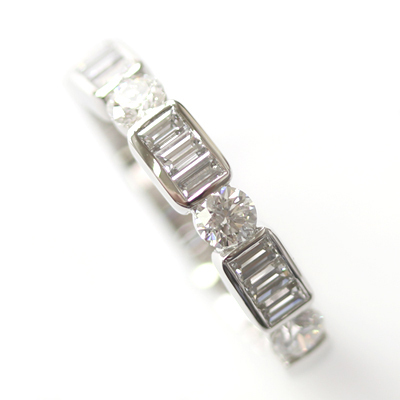 Then, three baguette cut diamonds sit within a tactile, soft rectangular, channel setting. This is repeated twice more and then finished with a final round brilliant cut diamond. 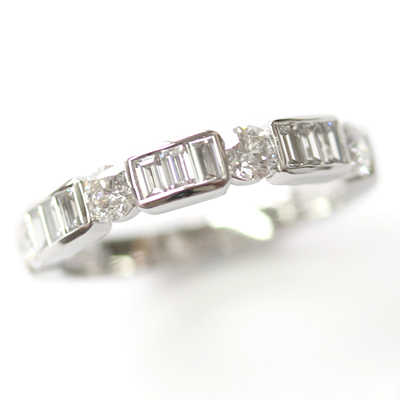 A pretty, bespoke eternity ring.